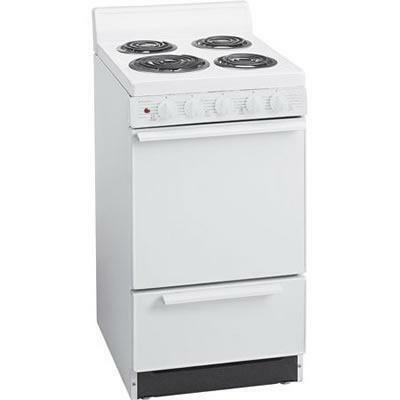 Premier 2.4 cu.ft white electric range with 4 inches porcelain backguard. Up front controls no reaching over burners. Easy cleaning with the standard clean oven. Additional Dimensions Shipping dimensions: 41.0 x 25.5 x 21.0. Warranty 1 Year. Lifetime burners.